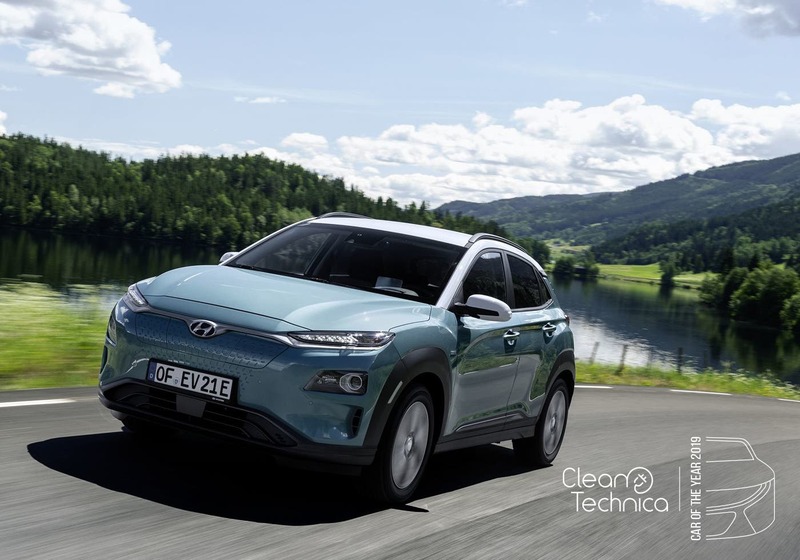 Hyundai has announced details on US pricing for the Kona Electric, which we only previously slid into our 2019 CleanTechnica Car of the Year competition. At the bottom end, $36,450 (before incentives) will get you into the base “SEL” trim (64 kWh version). That’s a great EV with 258 miles (EPA) range that you can get for under $30,000 after the US EV tax credit (up to $7,500 depending on tax liability). Arguably, this is the best CUV available at this price point. If you want one, join the queue as soon as you can! The $36,450 “SEL” trim Kona includes the full-size 64 kWh battery and is packed with loads of passenger safety systems and great equipment, including Android Auto and Apple CarPlay. See the standard equipment list to the right (click to zoom). Moving up to the “Limited” trim adds a sunroof, leather seats, LED headlights, and a few other features for a total MSRP of $41,150. The top-level “Ultimate” trim adds more still: heated steering wheel, ventilated front seats, heads-up display, larger touch screen, premium stereo, and smarter cruise control, amongst other things, for just $44,650. 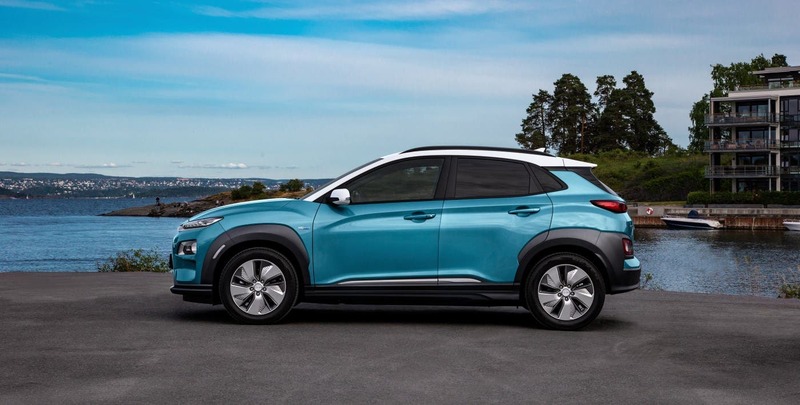 For full details of what’s included in the different trim options, take a look at Hyundai’s specs & pricing list, or zoom into the listing images we’ve included here. If you can, you might even want to try to insist on paying the dealer a deposit and being solidly put on a waitlist, even if that’s not yet even a formal option. The Kona is a great EV for those who like the CUV (aka crossover) form factor. It’s a compact, highly efficient, fully capable all-round vehicle, and a lot of fun to drive. It’s not huge, so if you need larger trunk space or are regularly having full-sized adults ride in the back seats, you may prefer to wait for its larger sibling, the Kia e-Niro, which has very similar key performance specs and will likely see a similar price point (perhaps fractionally more expensive). Though, it will arrive a bit later. Bjørn Nyland has made a great size comparison video between the Kona and Niro. Both are great choices. If you want an even more up-market electric crossover, you’ll have to wait for the Tesla Model Y, but it’s likely to be at least a year from now before that’s available, and it should come with a small step up in pricing. We’ll have more details on that one in a couple of months. It’s clear that the Kona is toward the top end of the road-trip-ready charts, with great range and recharging speeds, and capable of any use-case you ask of it. 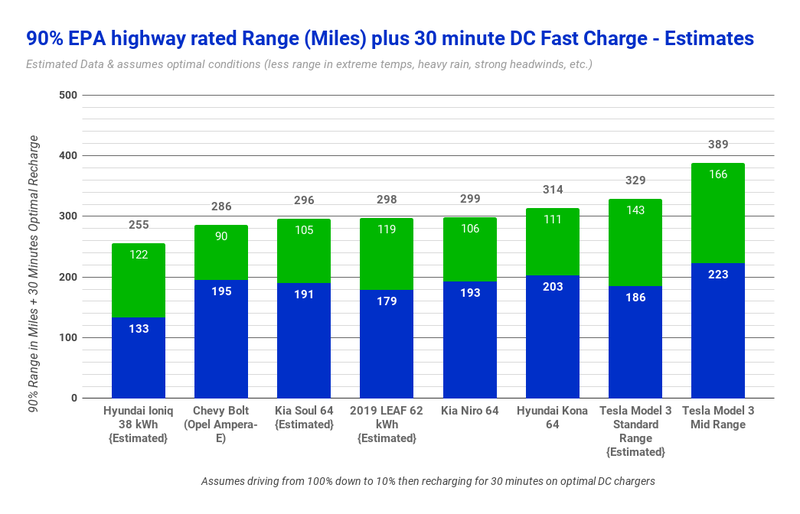 All of these EVs are great vehicles, and a far better ownership experience and lower lifetime cost of ownership than a gas vehicle. They are inherently quieter, smoother, more refined, more responsive, and more reliable than “equivalent” gas cars. If the Kona looks good to you, be sure to get your reservation in early. At these prices, it’s likely to be a very popular vehicle.